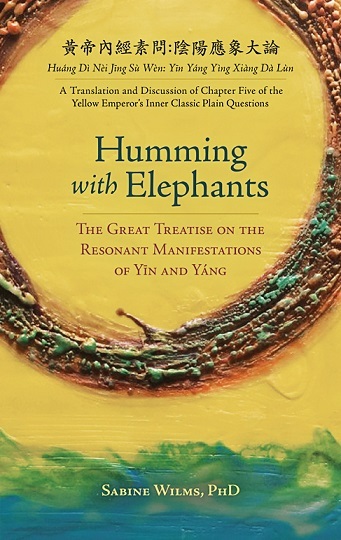 This book, a translation of the fifth chapter in the Yellow Emperor's Inner Classic, Plain Questions (Huang Di Nei Jing, Su Wen 黃帝內經，素問) offers a rare glimpse into a radically different way of interacting with the world from the perspective of ancient Chinese medicine, philosophy, and cosmology through a conversation between the mythological Yellow Emperor and his medical advisor that was recorded about two thousand years ago. Dr. Wilms combines her elegant literal translations with a wide selection of medical commentaries and quotations from philosophical and cosmological texts, as well as her personal insights, based on three decades of sinological scholarship and many years of teaching Chinese medicine students. Here is a guide on how to fulfill our most basic human role of harmonizing Heaven and Earth, offering real Medicine for the body, heart, spirit, for society, and for the universe. May this book make a genuine contribution to creating a healthier, more sustainable and harmonious way for humans to live "between Heaven and Earth" by taking us back full circle to the wisdom of the ancient Chinese sages.